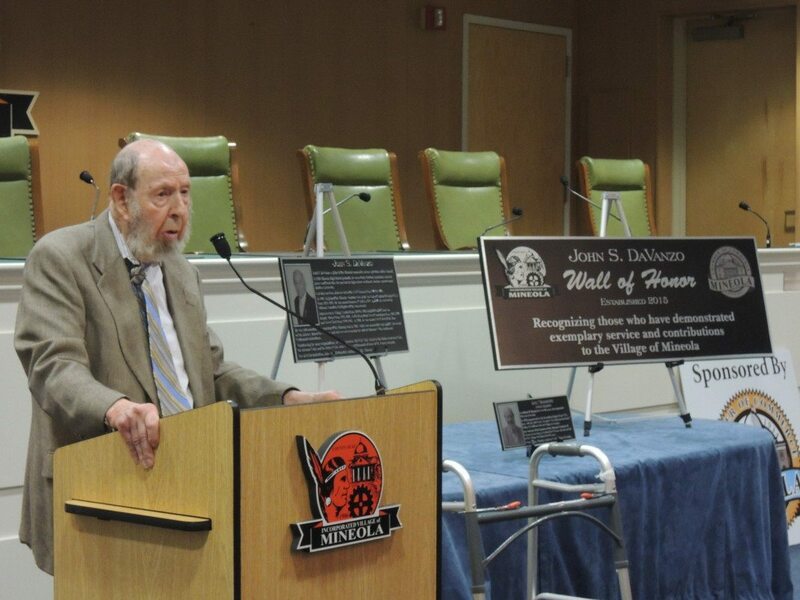 Judy DaVanzo, fighting back tears, knew what her father, John, would have said had he been able to watch the John S. DaVanzo Wall of Honor dedication at Mineola Village Hall on Tuesday, Oct. 20. 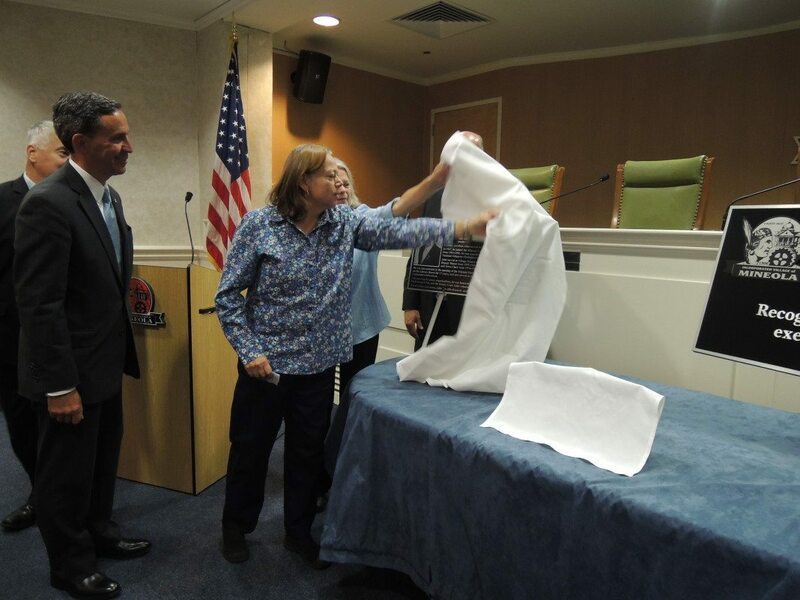 DaVanzo, a community mainstay and lifelong resident, died on March 21, 2014. He was 92. “As dad would always say ‘God bless Mineola and God bless America,’” she said. 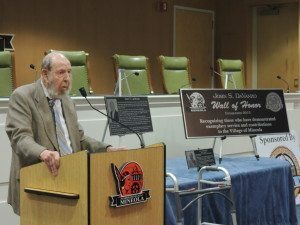 DaVanzo graduated from Mineola High School in 1939 and was all-varsity in football, basketball, baseball and track. He married his high school sweetheart Pauline and attended Hofstra University, but left early because he was drafted to fight in World War II. He served as a radioman on the USS Glennon DD-620. He served in the Navy from Sept. 21, 1943 to Jan. 7, 1946. 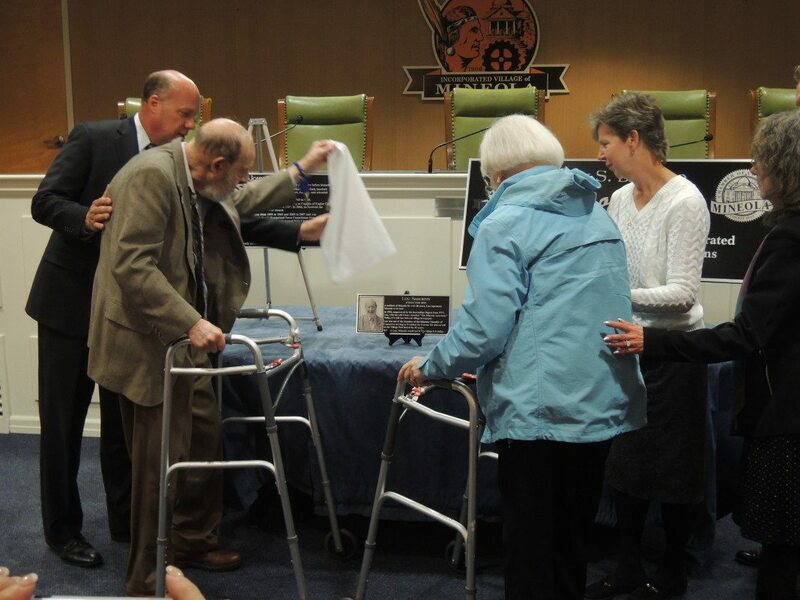 Lou Sanders, with family, unveil his plaque that will go on the John S. DaVanzo Wall of Honor. 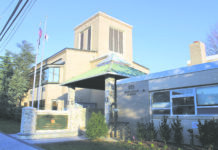 “We know he’s looking down [from heaven] and would say ‘although unnecessary, this is the greatest honor to be bestowed upon [me],’” John’s daughter, Mary said. 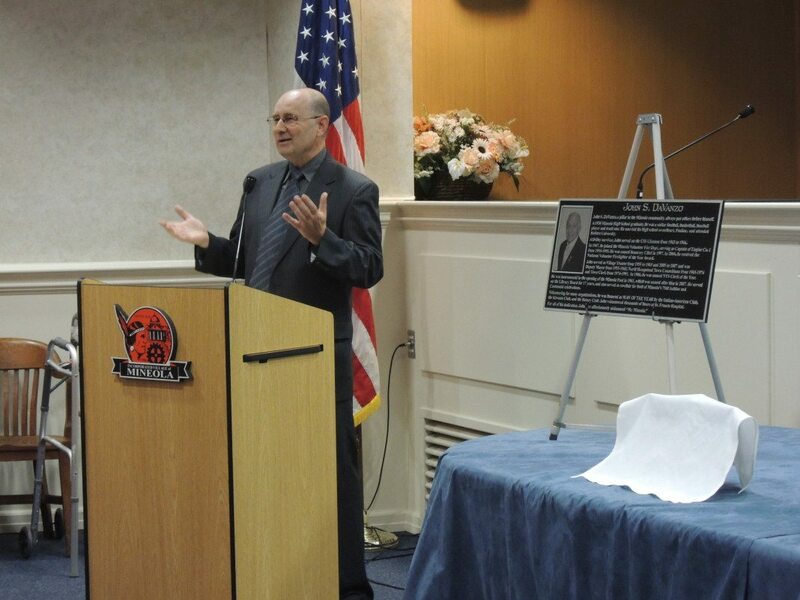 Soon after DaVanzo’s passing, Mineola community leaders were brainstorming ideas that encompassed honoring the former North Hempstead town councilman and Mineola Village deputy mayor. The wall quickly materialized during an informal meeting between Mayor Scott Strauss and Mineola Chamber of Commerce reps. Strauss called DaVanzo a “true friend” and discussed his first years as a Mineola volunteer firefighter, a time where DaVanzo always offered encouraging words from his 34 years in the fire department. 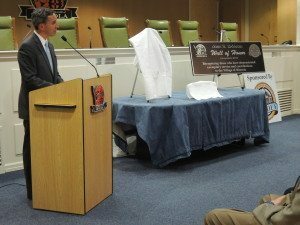 Through private donations and the Mineola Chamber of Commerce working with Strauss, the wall will sit in Village Hall on Washington Avenue. DaVanzo stepped up during wartime. He was out several days at sea when he was struck with severe pains in his stomach. He would have his appendix removed a day later. DaVanzo was aboard the USS Glennon when it struck a mine off the coast of Normandy two days after D-Day. The ship sank on June 9, 1944. Senator Jack Martins spoke of John DaVanzo. “I had to destroy all information and codes before I evacuated,” he said, after being honored as a Hometown Hero by the Town of North Hempstead July 2011. 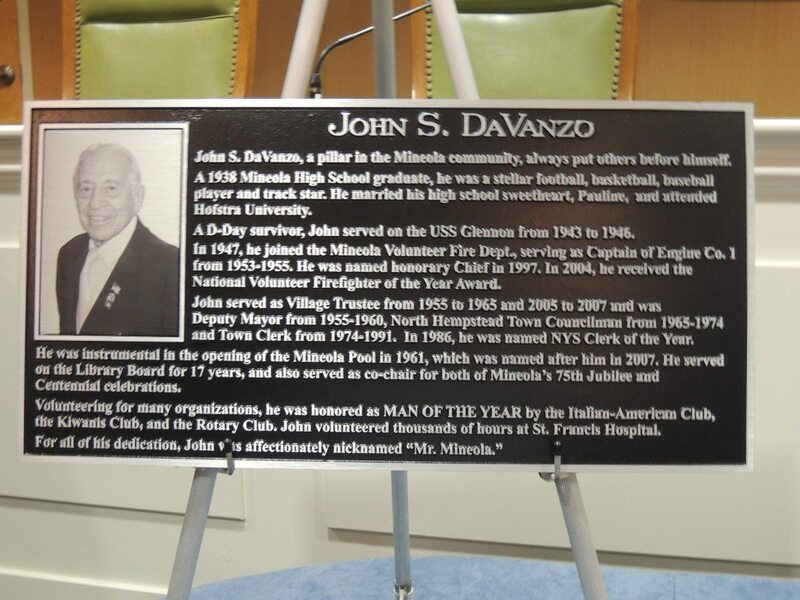 DaVanzo served as captain for the Mineola Fire Department from 1953-55. He would later become a delegate to the Firemen Association of the State of New York, southern New York and the Nassau County Fireman’s Association. 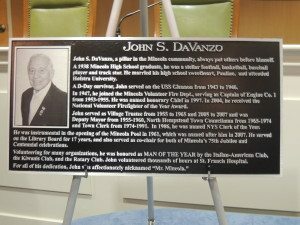 DaVanzo served as a village trustee from 1955-65 and 2005-07, deputy mayor for five years from 1955-60, town councilman from 1965-74 and town clerk from 1974-91. 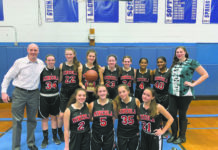 DaVanzo’s heart and soul thrived in Mineola. It resonated from his Cleveland Avenue home that he was born in. Steve Ford introduced Lou Sanders. The search for the first person to adorn the wall of honor didn’t take long. 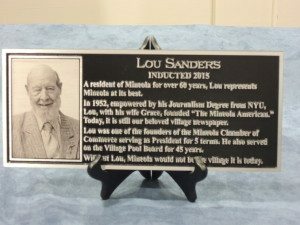 The committee quickly chose Lou Sanders, founder of the Mineola American and one of the founders of the Mineola Chamber of Commerce. Past chamber president and Willis Hobbies owner Steve Ford first met Sanders in 1973 when Ford’s dad moved Willis Hobbies from Williston Park to Mineola. It was there Ford encountered the then-editor Sanders. Then just a teenager, Sanders encouraged Ford to attend chamber meetings with his dad. Ford grew fond of Sanders over the years, mentioning Friday afternoon lunches at the Jericho Diner. “Jerry Melman, Lou and John Linder would get together every Friday, have lunch and try to solve the world’s problems in an hour and a half,” Ford said. 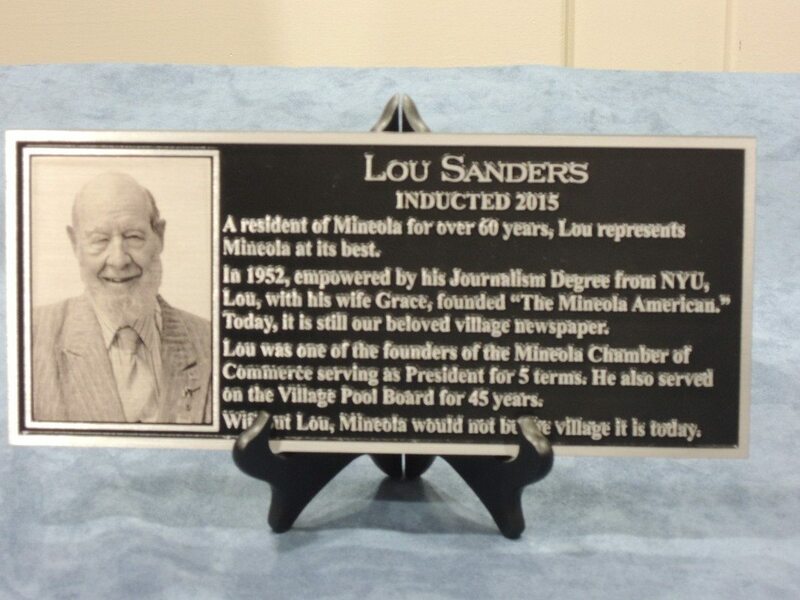 Sanders founded the Mineola American in 1952 after attaining his journalism degree from NYU. He also served on the Mineola Village Pool Board for 45 years. For Sanders, family comes first, specifically his wife, Grace, who’s been by his side. “With the limited success I’ve had in this world, there’s always been my wife Grace,” Sanders said. 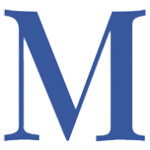 Rich Forestano is the former editor of Mineola American.